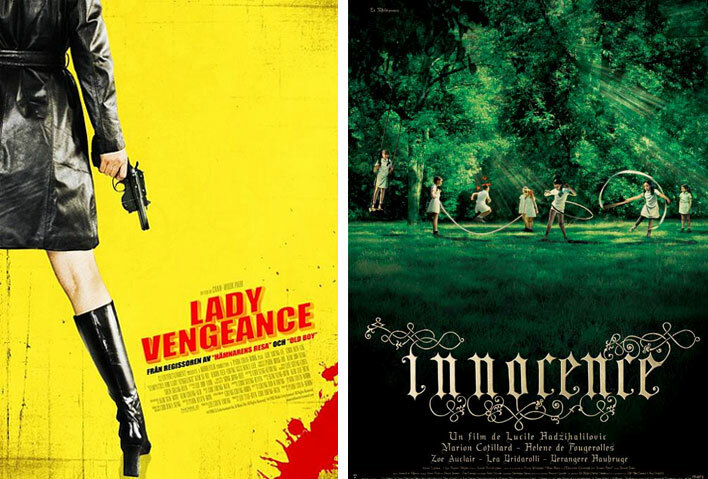 Last week I posted my selection of the decade's best movie posters: a post which attracted a remarkable amount of attention, not least from the estimable Roger Ebert, who posted his rival choices on his blog. The Auteurs contributor Andrew Grant, a.k.a. Filmbrain, was also inspired to post his own favorites, many of which are absolute knockouts. We also received a phenomenal and rather humbling response on our forum, enough to convince me that I need to do a follow-up post. There were some rather dubious choices which I won't name, but there were also plenty of stunning foreign posters that I had never seen before, which is what we were really hoping to see. I'd like to give a special shout-out to “Samantha” who has posted an extraordinary selection of good stuff. More than a few people suggested that I should have included the poster for Vincent Gallo’s The Brown Bunny in my top ten, but there was less agreement on which poster for The Brown Bunny, as there seem to be quite a few. This one is my favorite and was definitely a contender. In that spirit, I have selected eleven more suggestions that I hadn’t seen before from the forum and from the comments, ones which could have quite easily made the grade. 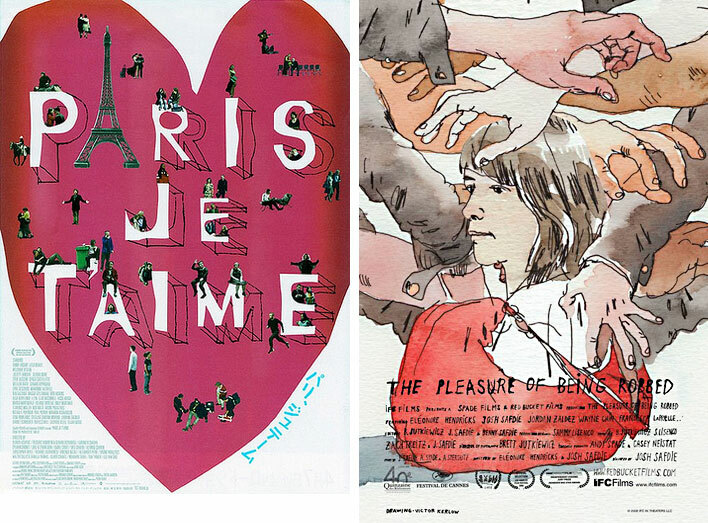 This process has definitely crystallized what it is I love in movie poster design: minimalism, abstraction, use of negative space and bold color, among other things. And occasionally I even sway from my love of minimalist typography (as in Funny Games) in favor of something florid and unusual (see Tropical Malady and Innocence below, as well as Palindromes last week). 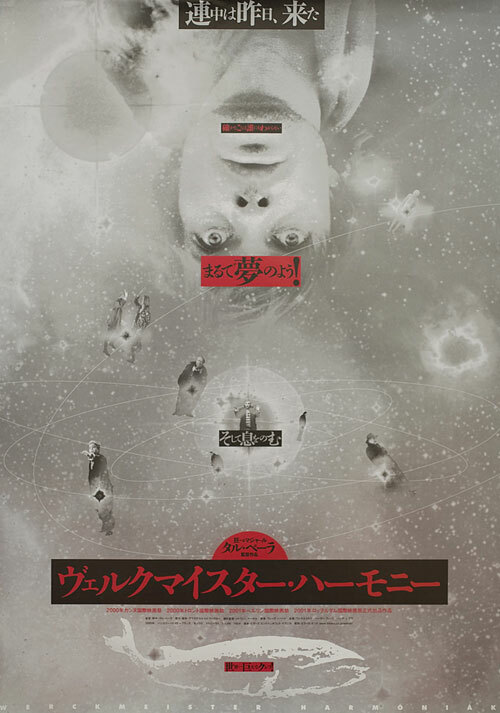 Many thanks to Stan Oh at Posteritati for showing me the amazing Japanese poster for one of my favorite films of the decade: Bela Tarr’s Werckmeister Harmonies. 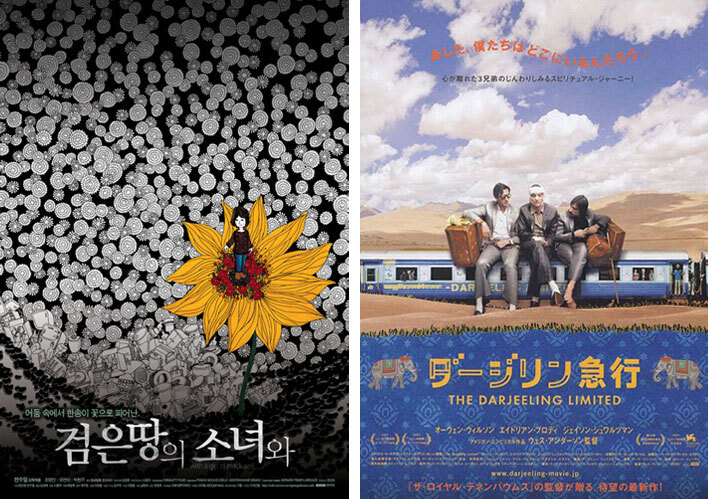 The Japanese posters for The Darjeeling Limited and Paris je t'aime below are also quite lovely. The first of my choices below is for the oddly titled Korean film With the Girl of Black Soil (which is actually a live-action film) and the rest should be self-explanatory. Of course there are plenty of other great posters on the forum but these in particular stopped me in my tracks. Congratulations for including the beautiful poster for the still-criminally-underappreciated WITH A GIRL OF BLACK SOIL. 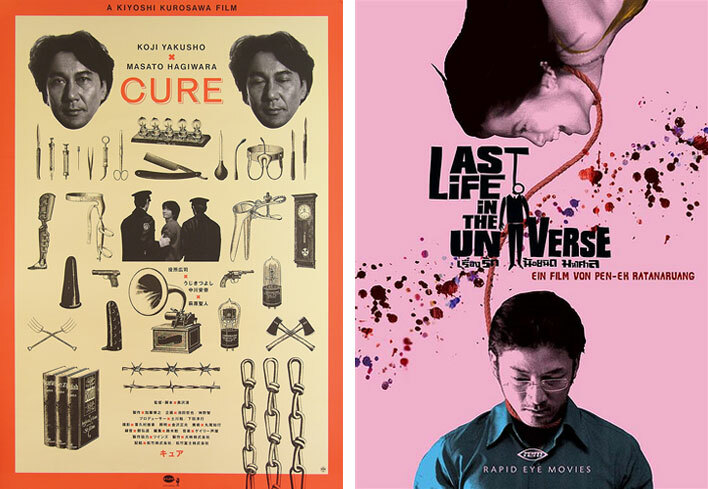 I love the idea of the larkish poster for CURE, but it’s not what you would call appropriate for the tone of the movie… The LADY VENGEANCE one is not up to the same standard as the others here. Great post. Love the design for Last Life in the Universe. I’d just like to point out Matt Dix’s awesome list of movie posters here which has some particularly striking designs. There can’t be a serious discussion of poster design without mention of Saul Bass. His style is evident in his collaborations with Preminger and Hitchcock (see posters for “The Man With the Golden Arm” and “Vertigo”, respectively). I’d love to see a notebook post on this. more great additions. The Pleasure of Being Robbed – good to see that one in there! 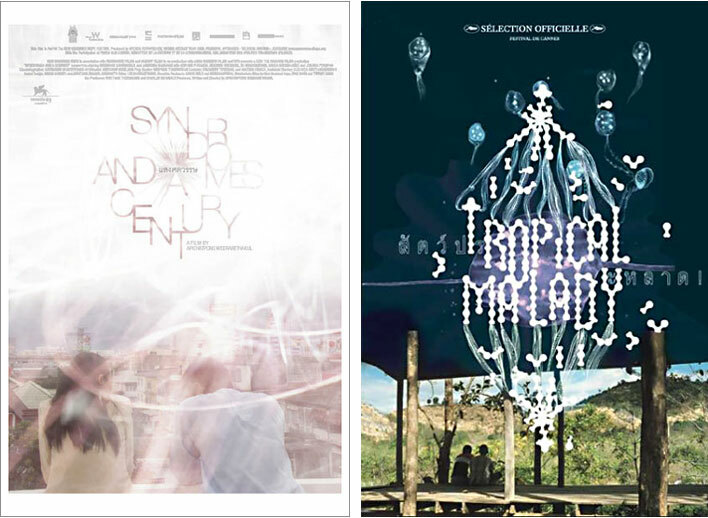 who is the artist behind Weerasethakul’s film posters?